The Frugal Family Life: $1/2 BIC Stationery Coupon! 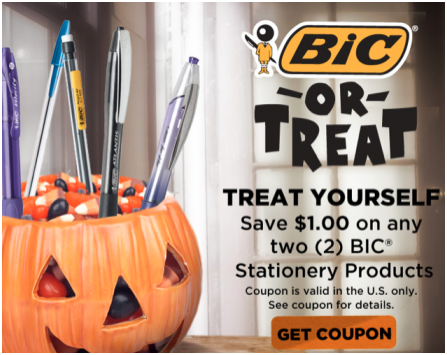 The BIC Pen Pals Facebook page has a new $1/2 BIC Stationery products to print! We are usually able to find FREE pencils or pens with this one—at a store that doubles!